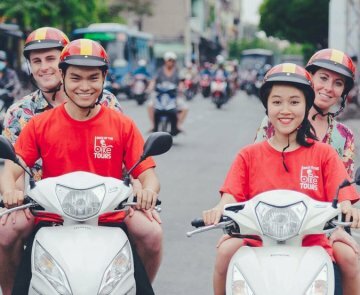 For over 6 years in Vietnam, Back of the Bike Tours has been providing the best ho chi minh day tour package for travelers like ourselves who love Vietnam and Vietnamese Food. The type of traveler who wants to experience Vietnam on the streets with the local Vietnamese. Experiencing the sights, sounds, and smells that hit you full force while cruising pillion through the streets of Ho Chi Minh City, Vietnam is the only way to experience Vietnamese food or the sights of Saigon. Ho Chi Minh Tour customers in Ho Chi Minh City have many options for a unique Ho Chi Minh Tour experience during your time in Saigon, but the top three Ho Chi Minh Tour options will be a Walking Ho Chi Minh Tour, Ho Chi Minh Tour via bus, and a Ho Chi Minh Tour via motorbike. Traveling to Vietnam you will need to go on a Ho Chi Minh City Tour 1 Day in order to experience as much of Ho Chi Minh City as you can during your time in Saigon. 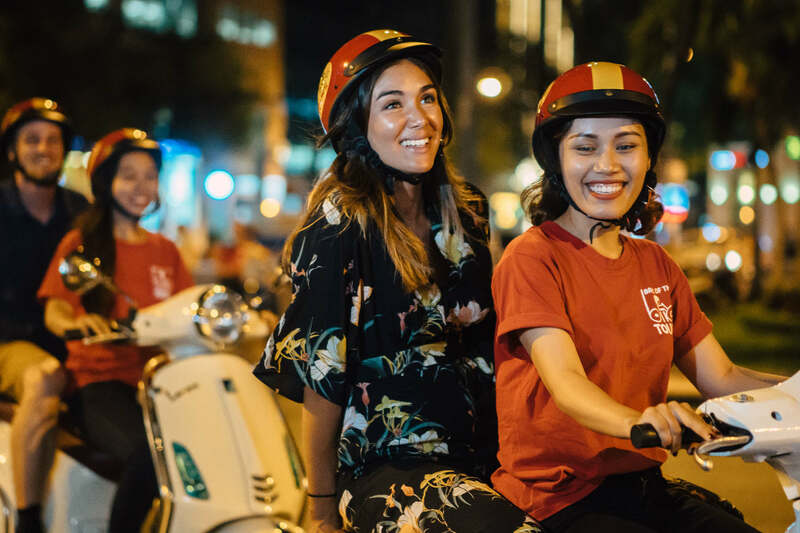 While the Ho Chi Minh Tour experience can be very diverse, there are a lot of options out there when it comes to getting around Saigon on your tour. The top three modes of transportation in Ho Chi Minh City for a Saigon Tour will be walking tours, bus tours, and motorbike tours. Which options you might prefer for your Ho Chi Minh Tour will lead you to help making the best decision on the type of tour that is best for you. A walking Ho Chi Minh Tour in Ho Chi Minh City offer travelers the chance to walk around Saigon in a leisurely pace but also provides some great exercise during your trip to Vietnam. Ho Chi Minh tours that use foot paths and sidewalks to get around the city can be a great afternoon. 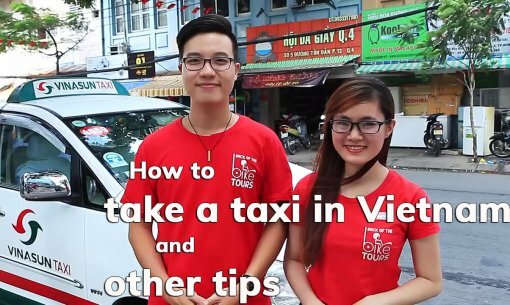 There are actually many Ho Chi Minh Tours that are free provided that you give the Ho Chi Minh Tour leader a tip after your walking tour. This is great value for a budget traveller who is looking to get some local insight while on a quick Saigon Tour. Another advantage to taking a walking Ho Chi Minh Tour is that there isn’t usually a sign up in advance option for these tours. Travelers are able to meet up at a dedicated spot picked by the walking Saigon tour before the beginning of the tour. Even if only 1 or 2 people show up that day, usually the Saigon tour guide will still give the tour. So, if you think that you might not be able to make your tour time and date, a walking tour in Ho Chi Minh might be a great option for you. Ho Chi Minh Tour via Bus are a popular decision for large groups that are looking for a Ho Chi Minh Tour during their time in Saigon. Ho Chi Minh Tours that are provided to customers via bus have many benefits. The first benefit you will see from a bus Saigon tour is that everything is nice and easily planned out for the traveller. You will just need to hop onto the bus and let your Saigon tour that you booked via bus take you wherever has been pre determined. Many times customers are booking a Ho Chi Minh Tour via bus before they even get to Saigon, Vietnam. Ho Chi Minh Tours might have issues dealing with weather since our rainy season is guaranteeing that we will see rain at some point. When it comes to Ho Chi Minh tours by bus then this isn’t an issue at all. Ho Chi Minh Tour by Motorbike are becoming increasingly popular as a tour option for travelers who are looking for a Ho Chi Minh Tour. We are of course bias when it comes to what type of Ho Chi Minh Tour that we believe you should book on your next vacation. The advantages of a Saigon tour by motorbike is of course having your own driver who can spend time explaining Ho Chi Minh City to you as a customer one on one. Each driver on a Ho Chi Minh Tour on motorbike speaks excellent english. Besides having great drivers on our Ho Chi Minh tours, we are able to see a lot more of the city on a motorbike during a Saigon tour because motorbikes are agile and small. If you have an interest in booking a motorbike tour please continue to check out our website below. If you have any questions about which Ho Chi Minh tours option is the best for you during your trip to Vietnam, please do not hesitate to contact our team to discuss options for your vacation! Check out our different Vietnam tour options below to see which tour is the right fit for you. Back of the Bike Tours delivers on our excellent customer service reputation whether you are looking to indulge in a night of Vietnamese street food, experience a few hours cruising the streets of Saigon on a city tour, or looking for something a bit more unique and catered to you. So check us out and book now to see why we are considered “The Highlight of your Trip to Vietnam". From busy streets to hidden back alleys in Vietnam our tour can range from the preferred saltier taste of Hanoi's Vietnamese cuisine, the spicy love of the people from Hue, and the craving of sweet and sour flavors in Southern Vietnamese food. 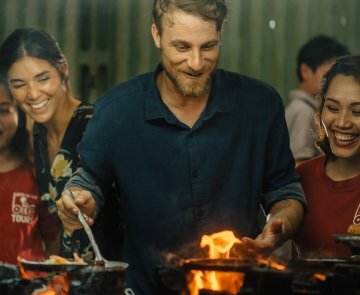 Our Vietnamese Street Food Tour is a must do for anyone who is travelling in Vietnam that wants a night of fun, excellent Vietnamese food, and an unforgettable experience while enjoying the culture surrounding Vietnamese cuisine. Our motorbike tour often features many Saigon Tourists which makes the atmosphere come alive at night as if we were at a dinner party on wheels serving some of the best Vietnamese recipes around. 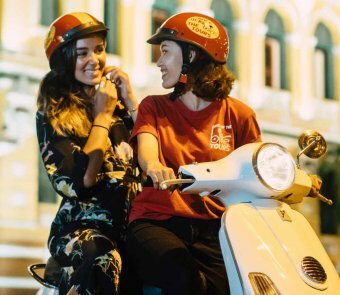 This is the perfect Vietnamese motorbike tour in Ho Chi Minh City for food lovers that love to socialize and experience unique and tasty Vietnamese food. Whether you are looking for a sightseeing tour or to visit the unseen parts of Ho Chi Minh City, Vietnam...our different Saigon City Tours on motorcycles offered throughout the entire day have something for every Saigon Tourist travelling in Veitnam. While riding pillion on our motorcycles, weaving in and out of the traffic of Ho Chi Minh City is a thrilling experience that is a must do activity in Vietnam. If you are only in Vietnam for a short amount of time this is a great trip that will allow you to experience the history, culture, and most importantly the real life of a local in HCMC, Vietnam. Say no to the lame bus tours and yes to a real Saigon City Tour with an experienced, reputable, and safe Vietnamese tour company. A Vietnamese Food tour that is one of a kind, this is the ultimate private Vietnamese Street Food eating experience that is a must do for any serious foodie who wants to eat as much as possible from Vietnamese Street Food Vendors in Ho Chi Minh City. This private tour is always led by our best local foodie guides who will personally shows you their favorite spots to eat in the city. This is the ultimate Vietnamese food marathon and is not for the faint of heart or light eaters who are squeamish about eating at local street food vendors. When you book this experience, please let us know if there is a one or multiple specific Vietnamese dishes you would like to try. Whether you are looking to provide a specific itinerary for your trip to Vietnam, want to ride in a van or car, try specific Vietnamese foods, or just want to do something that perhaps we aren't offering. Contact us so we can do our best to provide you with a bespoke tour that suits your needs. We are capable of mixing a Vietnamese food tour and Ho Chi Minh city/sights itinerary together for one super tour that is catered to your individual preference of what you want to see in Veitnam. We can adjust the Vietnam sights on your tour as well, or the Vietnamese food that you are looking to try here on your tour of Ho Chi Minh City. Do not hesitate to contact us for setting up the perfect tour of Saigon, Vietnam. 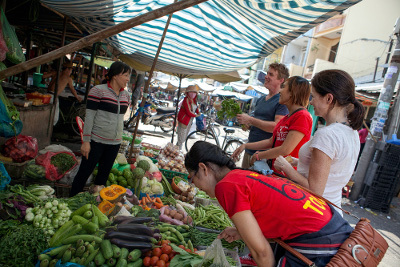 Let our expert guides show you the best of Saigon! 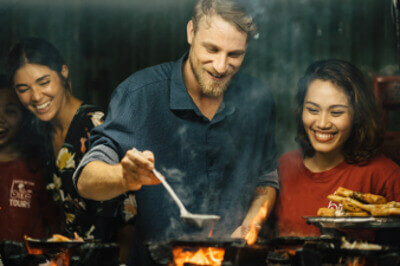 Whether you choose a City Tour or Food Tour, we provide local experiences connecting you with Vietnamese culture in a fun and unique way. Choose a Tour Below to Start Your Adventure! Choose one of our highly ranked tours below to find out which tour fits your group the most. A Classic Street Food Tour that will take you to some of our favorite street food vendors in Ho Chi Minh City. Satisfy your big hunger sitting on small stools. 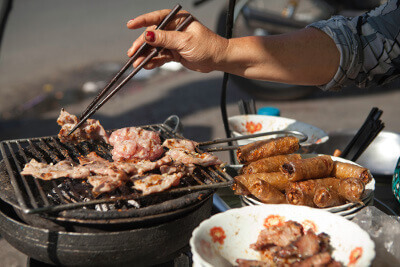 Jump on our bikes to explore Ho Chi Minh City during our unforgettable Food Tour. Exciting, Fun, and Tasty! Let our Team show you the best Vietnamese Food in the City! This is the ultimate private street food tour. Since this is a private tour, we can do our best to cater to what your interests are. On our tour you'll discover the pulse of Ho Chi Minh City as we explore both famous sights and local areas from the back of our motorbikes. Hop on the Bike for a Night Time Culture Tour of Ho Chi Minh Life. This Tour explores 7 districts in only 3 hours! A motorbike food tour of Ho Chi Minh City with Back of the Bike Tours was one of the most memorable things I did while in Vietnam. 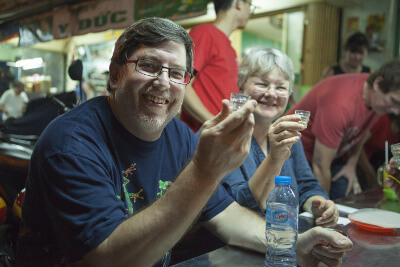 I was so happy with them, I did 3 tours now (one for research for a cookbook) – they really know HCMC like no one else – and they really know the food-stops that are on no list. Hop on a motorbike and discover the wonders of Saigon has to offer the best way possible! The local guides of Back of the Bike Tours give you some simple tips on how to enjoy Vietnam the safest way possible! 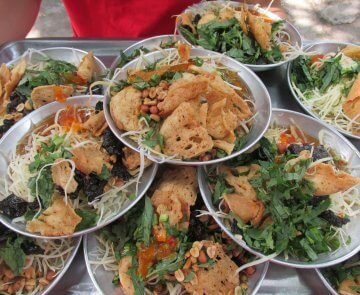 Wanna know what to expect on our Vietnamese Food Tour? 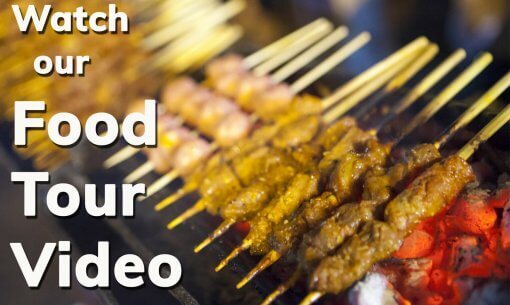 Watch our Food Tour Video to catch a glimpse of the experience! My wife and I signed up for an evening bike tour and we chose this company mainly due to all the Tripadvisor reviews and it was fantastic!! Our tour guides Nga1 and Thuong showed up at our hotel and drove us to our first restaurant where we met the rest of the group. As other reviewers said, we went to 5 different restaurants and all the dishes were great. But what was better was the riding behind these two young women around Saigon getting to know them. One was a college student and the other had just graduated. Their English was great and they were great hosts for 4 hrs. After the tour, we received an email with some great pictures they took while we were on the tour. Thank you very much!! I don’t normally write reviews but felt compelled to after my experience with Back of the Bike Tours. TL;DR: Just book the tour, don’t look back and you’ll have an incredible experience. I had the pleasure of having Nhi as my tour guide who was ABSOLUTELY INCREDIBLE. Her English was the best I’ve encountered in Vietnam, she explained everything in great detail and we also had amazing conversation during the entire tour. I would highly recommend this tour to anyone seeking to experience HCMC street food culture. Booked the city tour during the morning and was picked up at my hotel by my guide Trang. Met up with two other customers and their photographer at a cafe and was treated to drinks and a demonstation of how to make VN coffee. During the tour of HCMC sights (post office, cathedral, china town, wet market, temple, etc) the photographer took pictures of us on the bikes and at the sights. This was very helpful not having to worry about getting my camera out, they emailed the pictures within a week of the tour. This was a great way to see more of the districts in HCMC and the guides were very professional and gave knowledgable information throughout the tour. My guide Trang was especially helpful, she helped me sent a letter from the post office and went out of her way after the tour to show me the best coffee place to purchace coffee beans and then drove me back to my hotel. 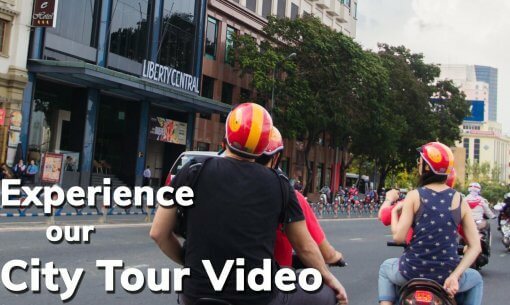 I highly recommend this tour for anyone visiting HCMC! Very professional and slick service – a trip not to be missed. I did both the city tour in the morning and food tour in the evening. Both were excellent and the guides were amazing and knowledgable and easy to talk with on the journey. The guides were bang on time at pickup and made sure you were comfortable on the bikes and got the most out of the experience. Best way by far to see Ho Chi Minh City. The food tour is so worth every penny and I defy anyone coming away from it hungry! Food was plentiful and flavoursome, giving you a culinary tour of Vietnam cuisine. Both tours from start to finish were excellent. The city tour allowed you to whizz through the traffic and see the main attractions without rushing and seeing the city like a local on the back of the bike. I did the private evening food tour and I can’t rate this highly enough. Unlike other operators this organisation responded straight away to my enquiry , were extremely professional and the tour was amazing. More food than I could eat (we had to leave out a stop) I am an amateur bike rider and felt very safe even in the insane Ho Chi Minh traffic. The ladies were friendly, professional and entertaining and the food was unbelievable. The photos and menu are a lovely memento and included in the very reasonable price. I have followed up on a number of the recommendation given to me at the end of the tour too. You will not regret booking with Back of the Bike Tours. We booked an afternoon (1pm till 5pm) Back of the Bike tour because we already had plans for the evening with friends. The evening tours are usually preferred because the weather is cooler at this time of the year. Our tour was fun for the whole family. Most of the previous bike tour’s have an age restriction but Back of the Bike tour’s were able to provide very safe driver’s for our children who are 7, 9 & 11yrs old. The food is a set menu but you can make special requests up to 24hrs before for things like spiciness or avoiding foods you may be allergic to. Our Back of the Bike drivers/tour guides were very friendly and each of them took time during the tour to know more about their passenger’s. They were very informative about each traditional Vietnamese meal we stopped for, explaining how they were sourced or chosen from the vast numbers of local food stalls and restaurants in Ho Chi Minh city. We will definitely try the evening tour when we return to Vietnam for a holiday. We were a group of 5 adult family members. Our son-in-law booked us a wonderful surprise tour. Arriving downstairs we were greeted by “Back of the Bike’ tour. I never imagined I would be on the ‘back of a bike’ going through Ho Chi Minh City. Quite an eye opener weaving through the traffic that seemed to go in all directions. I felt very confident, thanks to my driver. We were taken to five different locations to experience the Vietnamese cuisine and each course was explained to us and how to eat it. We even had the opportunity to cook Vietnamese pancakes. We could have as much as we liked to drink and food was way more than we could manage. I couldn’t recommend this tour more highly. A fantastic tour. Fantastic experience. Excellent tour guides Tinh, Kim Anh, Trang and Duyen. Felt completely at ease on the bikes and learnt so much about the history and local culture. You cannot leave Saigon without trying it! Exciting experience, best decision for the tour choice! We absolutely loved this tour. The best way to learn about food and food customs, if you are the new in Vietnam.We made tour at our first night in Saigon and after the tour we were real experts and could manage whole week! Also our diets were taken in account! And our guides were great! Now any worries for your age or experience! Everyone can do it with these guides. That was real fun! We highly recommend this an exciting and informative tour- adventure. Do not leave Saigon without trying it! Tour was one of the highlights of my 17 day trip through Southeast Asia. Can’t think of a better way to tour Ho Chi Minh than on the back of a bike. Definitely recommend. Got views of the city as well as interesting information. Tour guides were great! Having pre booked the morning city tour and the evening food tour. Driving in my taxi from the Airport to my hotel and seeing the amount of bikes on the road i was thinking what have i done. On the morning of the tour my tour guide picked me up from my hotel and gave me safety instructions and asked how i was on a bike. Explained to him that not great and he said he would go a bit slower till i felt more comfortable. By the end of the tour we were zipping around the city. Both guides on my tours were very friendly and professional, i started to feel safer on a bike than walking down the street. The city and the food tours are well put together and you get to see a lot of Ho Chi Minh City and you realise just how big the city is. 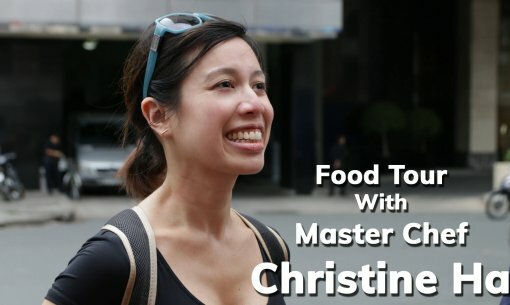 The food tour was a highlight of my stay in Ho Chi Minh City. The food was very good and plentiful. I would say this is a must tour if you have the time. Had the best time on this trip while my friends and I were visiting Ho Chi Minh and our tour guides were fantastic and a lot of fun. Would highly recommend.